In Riviera Nayarit magic is our luxury, and it’s this very magic what will bring the great masters of capoeira to our destination for second consecutive year. These professionals will offer workshops, batizado ceremonies, and the culture of this popular and rhythmic martial art in San Francisco, Nayarit next March 22 – 25. This time, the instructors at the Festival will be Mestranda Marcia Cigarra and Mestre Alma de Gato. 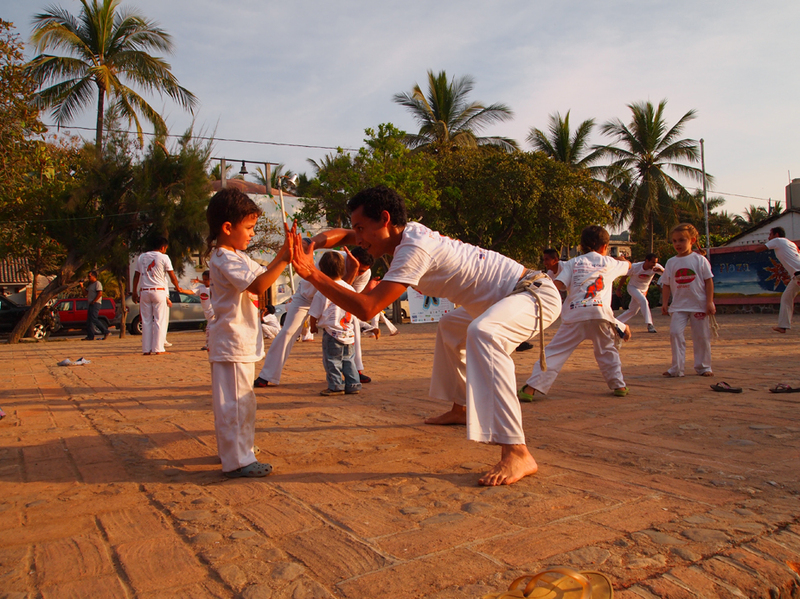 The event will assemble approximately 300 participants from all over the country, and will seek to create links to share the knowledge among all the members of Abadá Capoeira in Mexico, as well as to strengthen the environmental awareness and reaffirm the presence of Abadá Capoeria, which already has over 100 local students. The rodas, the batizado ceremonies and workshops offered by the guest instructors will be directed to the diffusion of Capoeira Art as the main activity of this event, while a series of workshops for organic gardening will develop a greater environmental awareness among the audience. The Convention and Visitors Bureau of Riviera Nayarit emphasizes the importance of sports tourism as an asset in attracting tourists to this destination, and commends the hard work of the organizers to assist in the promotion of Mexico’s Pacific Treasure.